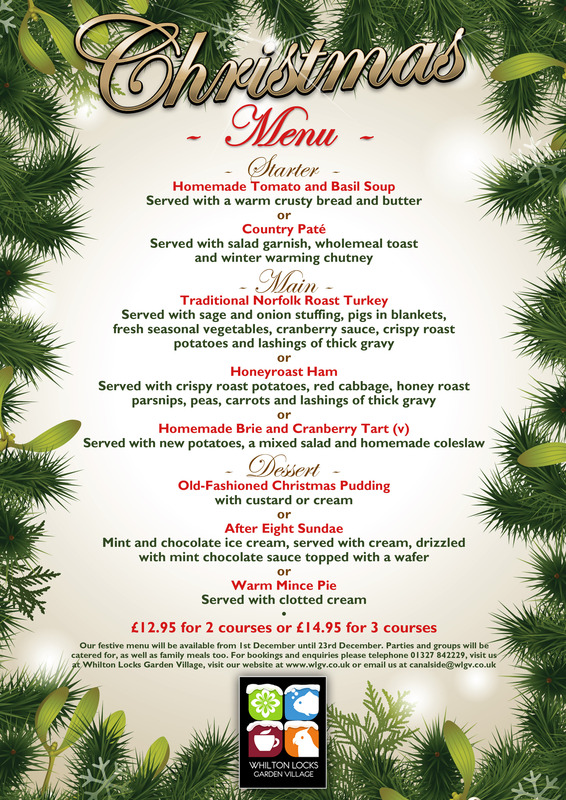 Festive Fayre at Whilton Locks Garden Village this Christmas! We’ve brusseled, we mean rustled up some tasty festive treats in our Canalside this Christmas. Christmas Turkey, with all the trimmings! Available throughout the festive period from Saturday 1st December through to 23rd December. Canalside is open 9am to 5pm every day except Sunday which is 10:30am to 4:30pm. Groups & Parties catered for. Alternative meals are also available. Of course, we also offer our complete range of meals too, from light bites to our homemade Cottage Pie or Homemade Lasagne. Homemade cakes and award-winning pies. We have a great selection for vegetarians too. What could possibly top that? Parties and groups will be catered for, as well as family meals too. For bookings & enquiries please telephone 01327 842229, visit us at Whilton Locks Garden Village, or email us at canalside@wlgv.co.uk. Vegetarian options are available upon request.